Hunt4Dreams Realty is your Kawartha Lakes, Trent Lakes and Bobcaygeon Real Estate connection. Located in the heart of the Kawartha Lakes, Tom and Wendy Hunt can help you find your perfect home or waterfront property in the Kawartha Lakes & Trent Lakes. Bobcaygeon, Port 32, Victoria Place, Alpine Village, Sturgeon Point, Sturgeon Lake, Pigeon Lake, Buckhorn Lake are a few of our top Real Estate locations. If you are in Bobcaygeon, swing by the office to say hello. Let the Hunt4Dreams Real Estate Team help you Hunt 4 Dreams - in The Kawarthas ! ! 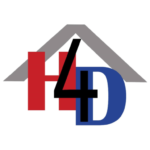 Hunt4Dreams Realty Inc. is your Residential & Waterfront/Recreational Real Estate connection in the Kawartha Lakes. Serving the Kawartha Lakes and Trent Lakes. Tom and Wendy will help you Hunt4Dreams! "Excellent people. Friendly and very helpful. We would recommend Tom and Wendy to anybody." "Looking for a real estate broker, here is the place. Tom and Wendy are great people who understand what you are looking for and will listen and work with you." "Fantastic service. Dedicated to detail, Tom & Wendy go out of their way to help." "Thank you for making our purchase experience go so smoothly, as we transitioned from an urban to rural lifestyle. Your insight and knowledge of the area was very helpful. You understood what we were looking for and made it happen. We are so happy up here on White Lake; you have truly made our dreams come true! We would definitely recommend Hunt4Dreams as the go to Real Estate office. You are fantastic people to deal with! " Let us help you Hunt 4 Your Dreams!